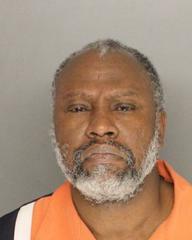 At approximately 9:45 p.m. on February 22, 2019, deputies contacted 54-year-old Arvan Washington III of Lompoc, to the rear of the Albertson’s shopping center in the 1500 block of North H. Street.. Washington had a felony “no bail” warrant for his arrest as well as illegal narcotics in his possession. During further investigation, Washington was found to be in possession of numerous suspected fraudulent checks, credit/ debit cards, counterfeiting equipment and personal information to include federal income tax documents and social security cards. Washington is booked at the Santa Barbara County Jail on multiple felony and misdemeanor charges related to identity theft. Due to his prior warrant, he is being held without bail. This investigation is ongoing to identify potential victims, predominantly from northern areas of Santa Barbara County, however, additional victims are believed to be out of the Los Angeles area.